I am a banana. I freely admit it. A “banana” in Singapore is a person who grew up speaking English in the home and probably struggles with compulsory Chinese language examinations in school. I am not only a banana, I have banana children (which makes us a bunch of suckers for paying through the nose for Chinese tuition our whole lives). Being a banana I know very little about my roots, but I remember my paternal grandfather telling us that we were Eng Chun Hokkien (永春 or “yong chun”, a particular region in Fujian province where migrants settled in Batu Pahat and Muar in Johor, Malaysia. As a descendent of overseas Chinese, my Chinese identity has often resided in certain Chinese festivals as well as the food vocabulary that has persisted even as our language skills have declined. Thanks to living in South East Asia however, there has been a certain amount of assimilation and even the food we regularly eat have Malay and Indian overtones. I remember the first Chinese New Year i spent living in New York was when homesickness hit home badly. I wanted to celebrate Chinese New Year and trotted down to Chinatown to get stuff ready for the festival. i pretty much expected to find my favourite kueh bangkit and pineapple tarts in Chinatown and was slightly horrified that these things didn’t exist there. Not all the nian gao in the world could substitue what for me was the essence of CNY. Which was what started me on my lifelong interest in mastering recipes for local Singapore food, but that’s a story for another day. 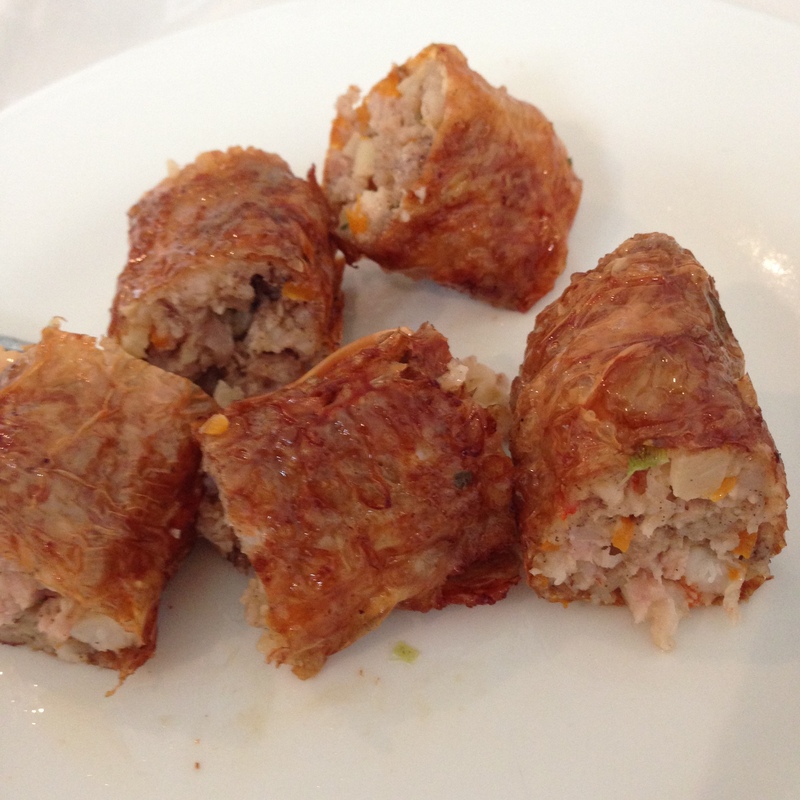 Ngoh Hiang (五香) or Lor Bak (滷肉) is a Hokkien dish made from minced pork and prawns and wrapped in thin beancurd skin. The meat filling has a distinctive five spice flavour and goes excellently well with a sweetened flour sauce (only Buddha brand!). Add (A) to a large bowl and season with (B). Mix thoroughly and marinade overnight in the fridge. 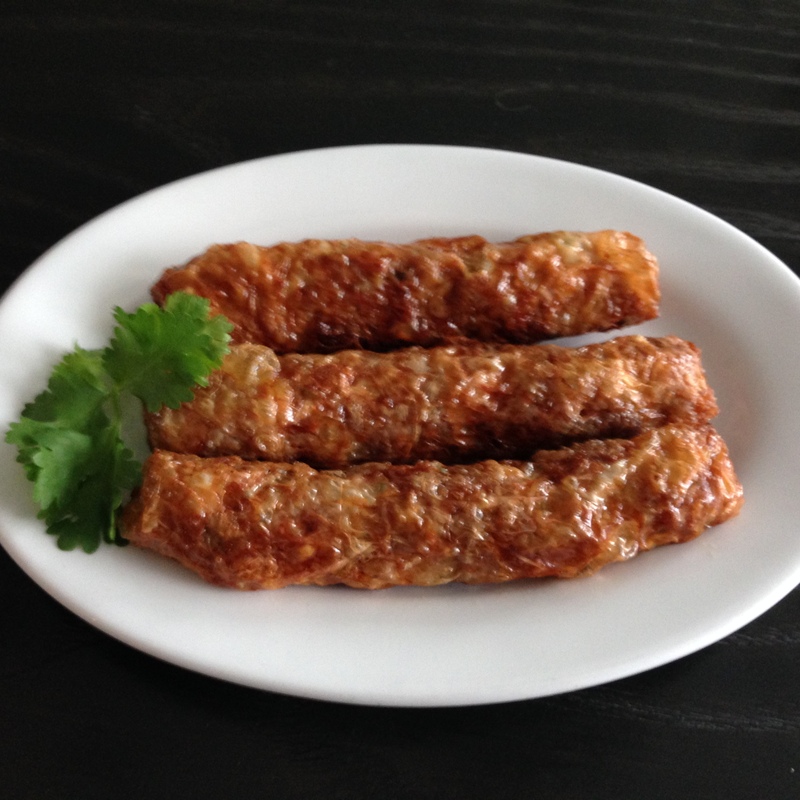 To fold the ngoh hiang, lay a piece of cut bean curd skin on the work surface. Place two and half tbsp of meat filling in the lower half of the bean curd skin, leaving a small gap at the bottom and at the sides. Fold the bottom flap up and dab the side edges with egg white. Fold the sides over the meat filling and roll the meat roll tightly towards the top. Secure the remaining corner with egg white to seal the roll. Prepare a steamer lined with parchment paper. Arrange the ngoh hiang such that they do not touch one another, and steam in batches for 10 minutes each time. Let the steamed ngoh hiang cool and air dry completely on a wire rack. 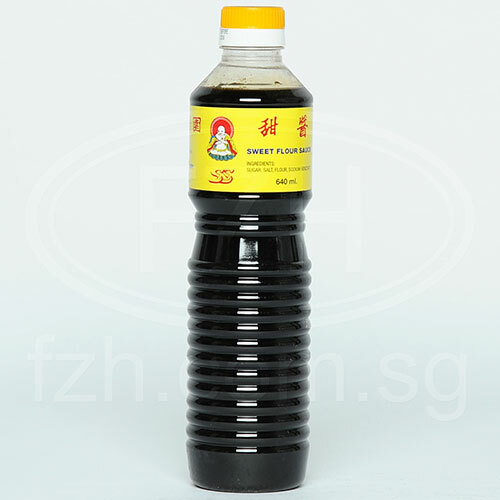 Heat vegetable oil in wok. Deep fry in batches, for about 2-3 minutes, until the ngoh hiang are golden brown. Drain excess oil on paper towels/tempura paper before serving. Just a note that ngoh hiang should be served hot with sweet flour sauce, but if low-carbing, avoid the sweet sauce and use some sambal chilli instead. 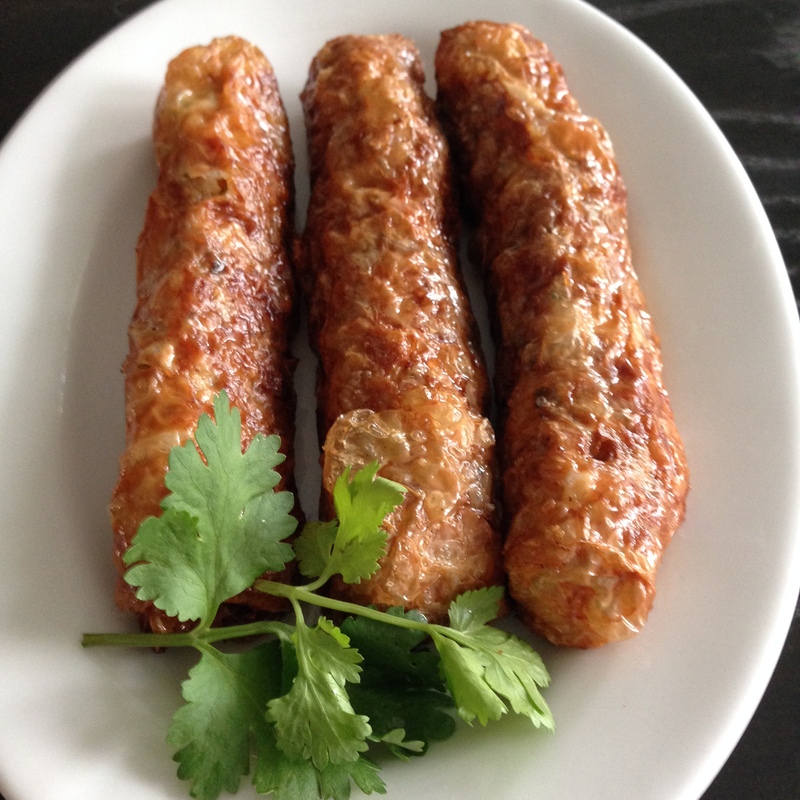 Truth to tell, the ngoh hiang is good to eat on its own – real flavour in a bite. Also ngoh hiang can be part of other dishes, such as Lor Mee for which I have posted a low carb version of before.